The Black Forest is formed of many places, landscapes, lakes, mountains and places of interest and last but not least with its inhabitants. Bad Bellingen is your gate to the southern Black Forest. Come and experience it yourself! The Romans shaped once the name of the Black Forest. They called it: “Silva Nigra” – which means the black, the dark and gloomy forest. At that time the Black Forest was a nearly impenetrable and oppressive, an almost mysterious place. Today the Black Forest is one of the most popular tourist attractions of holiday-makers from all over the world! The Black Forest is one of the most beautiful, most various and romantic low mountain ranges with countless possibilities for sports, hiking and swimming. The hospitality of the Black Forest and the offer of culinary dishes are famous far beyond its borders! The traditional Black Forest national costume The “Schwarzwaldmädel” carries the famous Black Forest costume. In addition to that belongs the so-called “Bollenhut”, a straw hat with eleven large “Wollbollen” (wool balls). Young unmarried girls wear a hat with red ones, married women a hat with black ones. The “Schwarzwaldpüppchen”, a little doll with the Black Forest costume and the Bollenhut, is a popular souvenir for young and old people. The Schluchsee – With its surface of 500 hectares the Schluchsee is the largest lake of the Black Forest and well-known for its excellent water sports possibilities. If you feel like swimming, surfing, sailing or if you want to travel by pedal boat or electrical boat, the Schluchsee has a lot to offer for everyone! In the summer time steamers also operate between the shores. Recommendable is a long hiking tour around the Schluchsee. At the southwest it is particularly calm and beautiful. The Tittisee – The Titisee probably got its name from the Roman general Titus. Today the Titisee is a very popular tourist attraction with various offers for watersports. The Titisee is a former moraine lake – a kind of natural reservoir, which the ice age left back. 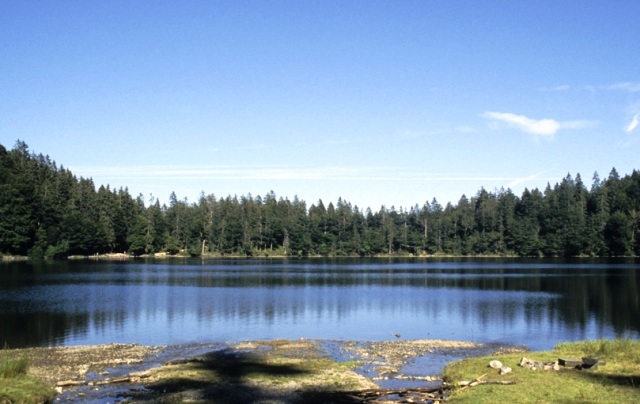 With its length of 2 km and 700 metres width the Titisee is the largest nature lake in the Black Forest. The Wutach Canyon – The “Wutachschlucht” (Wutach Canyon) is a popular attraction for nature enthusiasts. Many animal and plant types, which have become extinct in other places, can be found here. Altogether you can discover 1200 rare species – among them 30 different types of orchids as well as rare moose, ferns and herbs. Therefore the Wutachschlucht has been under strict nature protection since 1928. A hiking tour of 13 kilometres leads to the wildest part of it. is a cream cake, which has become one of the most popular cakes in the course of time. The main parts of the cake consist of up to three chocolate flan layers, a filling made of cherries, soaked with “Kirschwasser”, and a lot of cream and chocolate rasps as decoration. This speciality is packed with calories but it’s an absolute „must“. You shouldn’t miss it. You get this speciality in each cake shop! The Belchen – In the Alemanian language “Belchen” means a mountain, having a hilltop. The Belchen (1414 metres) is the third biggest and most beautiful mountain of the Black Forest! Drive along the “Badischen Weihstraße” into the “Münstertal” and from there up to the Belchen. Enjoy on top a wonderful view to the Black Forest, the valleys, the Alps and the Rhine level with the Vogesen beyond. In Celtic times people prayed on the Belchen on the longest and shortest day as well as to the their sun God “Belenus”. On these days you can exactly see the sun rising over the Belchen in the Swiss Jura mountains. And on the “Tag-und-Nacht-Gleiche” the sun sets at the large Belchen in the Vosges (Vogesen). on 21th December, 21th March or 23th September, to see this astronomical peculiarity. Numerous hiking ways lead to the top of the mountain. Who don’t know it, the world-famous Black Forest cuckoo clock, a product of a long craft tradition connected with a large variety of ideas. The cuckoo clock was built for the first time between 1730 and 1750 in the Black Forest. Decorated with carved fronts it became a popular souvenir in the 19th century. Unfortunately it is not possible to mention all attractions and leisure facilities you can comfortably reach within 1 hour from Bad Bellingen. There is still more to see, for example the cathedral in St. Blasien and the Albtal , the “Schwarzwaldklinik” in the idyllic Glottertal, the Wiesental, the Blauen (mountain), Waldshut, Bad Säckingen, Todtnau, Schönau, Germany’s highest waterfall in Triberg and of course last but not least the Feldberg. 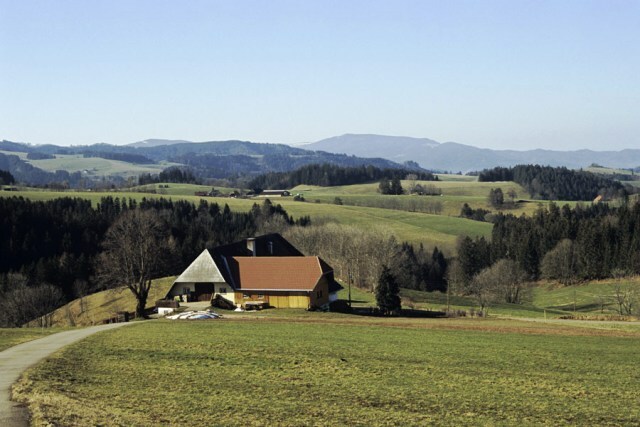 in the Black Forest area Use your apartment as a starting point for wonderful motorcycle- bike- and car trips into the Black Forest and the Alsatian Vosges. The “Badische Weinstraße” and the “Elsässer Weinstraße” are also excellent for wonderful motorcycle excursions. Tip: Make a tour passing the Albtal, the Weratal, to the Blauen or the Belchen. I look forward to welcoming you here in Bad Bellingen! Our apartments and holiday flats are especially suitable if you are looking for an accommodation in the “spa-triangle”(Dreibädereck) Bad Bellingen, Bad Krozingen, Badenweiler or if you like to stay in Freiburg, Basel, Neuenburg or in the Black Forest, because of the proximity. The central location of Bad Bellingen is ideal! Why to stay at a hotel or a pension, if excellent restaurants are nearby? No matter whether you want to come to restore your health or enjoy a wellness program, no matter if you like hiking, riding, golf activities or sightseeing trips. Visit us, we look forward to welcoming you! 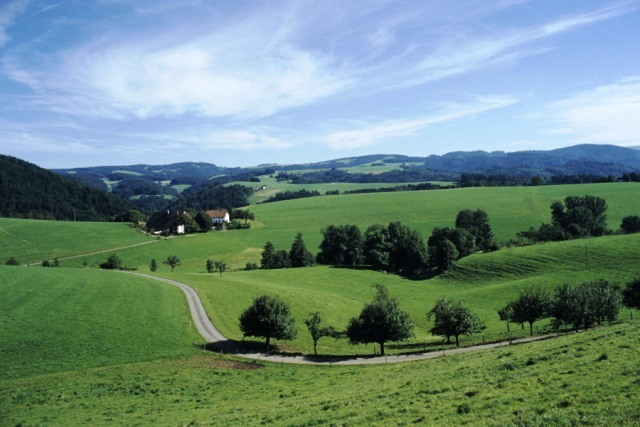 Look forward to your Black Forest apartment or your holiday flat in the country!